The past six weeks have been six of the most amazing weeks of my life. 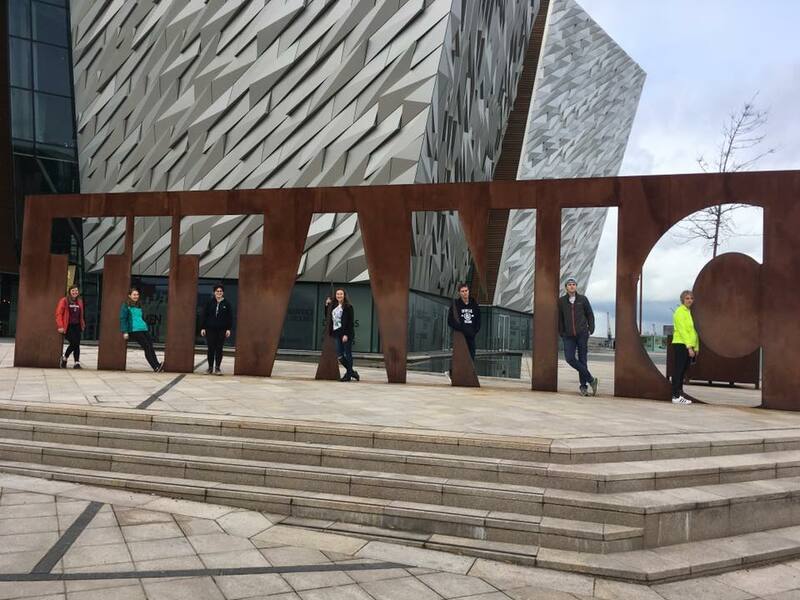 I have been able to explore different Irish cities, go on incredible hikes, and volunteer with the local community. It’s been absolutely fantastic and I can’t wait to see what the second six weeks has in store for me. We started off our travels with a trip to Galway, which was really cool. After having some time to explore local shops and see the sights, we were able to take a ferry to the Aran Islands. They were really cool. We learned a lot about the history of the island and got to see many different parts of it. It was awesome. 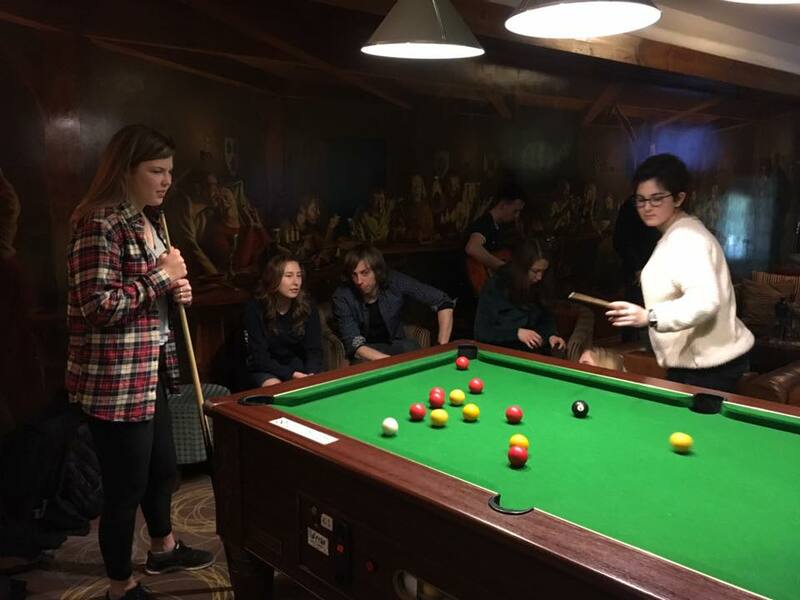 Galway, we stayed in a hostel. It was the first time I had ever stayed in one, so it was cool to get that experience for the first time. Some members of the group even had to cook dinner in the hostel. We listened to drunk men singing for an hour one night, and one of them pulled the fire alarm and we had to evacuate. It was a really interesting place, to say the least. 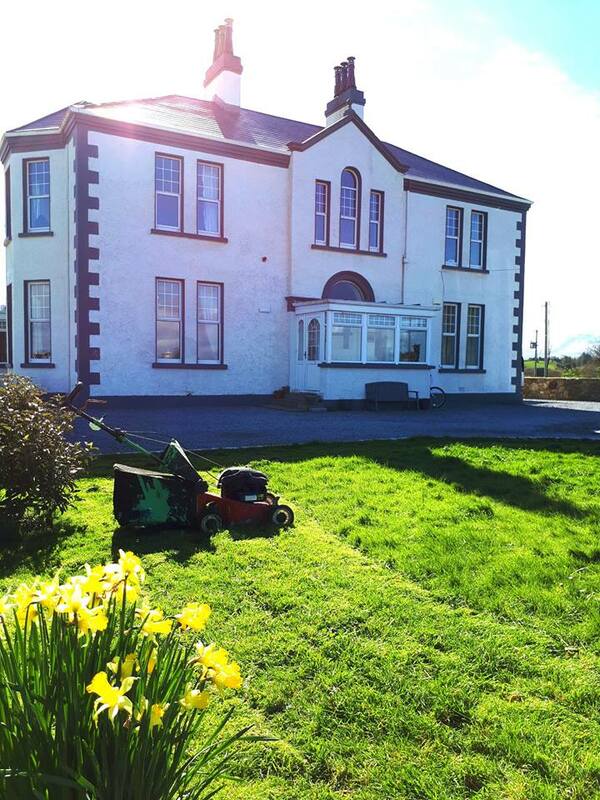 The next few days back in Bundoran were fabulous as well, of course. 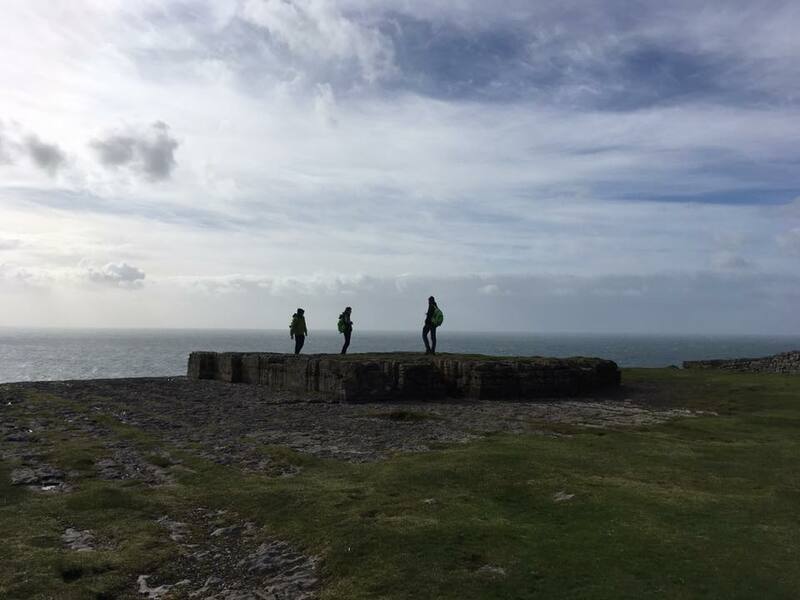 We visited a historical site called Kylemore Abbey, went to see Slieve league, and spent a day on Whitehill Eco Farm planting trees. Every day here is good fun no matter what we do. I really like working on the farm, and all the hikes we do on random days. It’s all good fun. We continued to go on amazing hikes and work in the poly tunnels on the farm in the next few days. The poly tunnels were so cool. 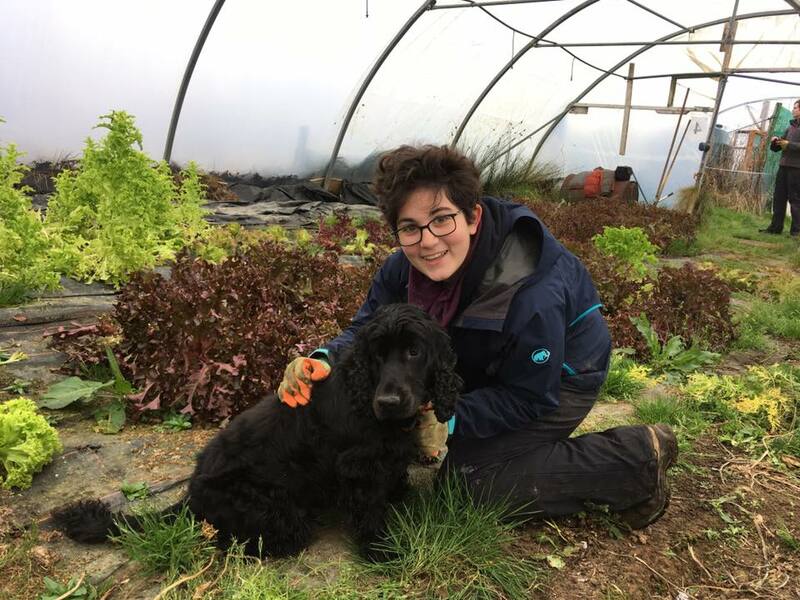 It is a working farm that grows eleven types of organic lettuce for restaurants in the area. I have a lot of fun working there and I cannot wait to go back. 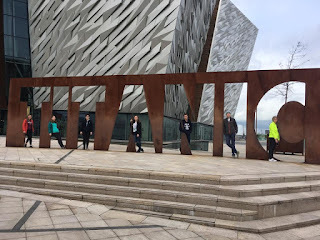 Our next trip was to Belfast, where we saw the Titanic museum and got to explore the city. I learned a lot there about the history of the city, and got to see some really cool parts of it. It was lots of good fun. After Belfast, it was time to work on the float. 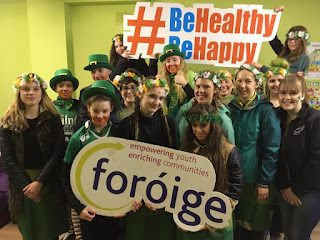 We worked with the youth group, Foroige, to build a float for the St. Patricks day parade. It was lots of hard work, but also very fun and we ended up winning the parade, gaining 500 euro for the youth group. 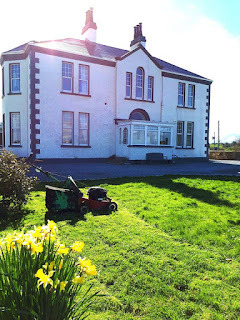 After St. Patrick’s day we were off to county Clare for some outdoor adventure. 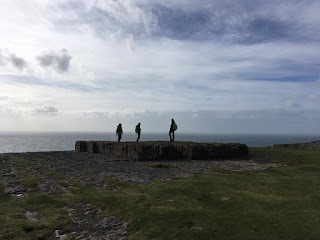 We hiked up Croagh Patrick, explored a mine, held a lamb, hiked from a nearby town all the way to the cliffs of Moher, and just had an amazing four days. 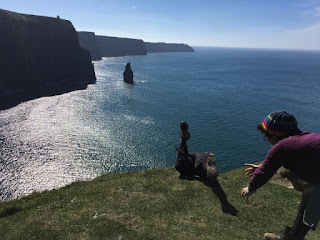 It was probably the best trip so far, because we got to spend so much time outside enjoying the great weather and the beautiful scenery that Ireland has to offer. We just got back from that last trip, and this week has a lot in store. Now that I finally have a working computer, I will be updating this blog every Sunday. Thank you for reading! Until next time. The troops ready for their first overnight hike!